Kings XI Punjab had their plans in place but nothing could have worked in the face of an "unstoppable" force called Kieron Pollard, the team's coach Sridharan Sriram conceded reflecting on the three-wicket loss to Mumbai Indians in the IPL. 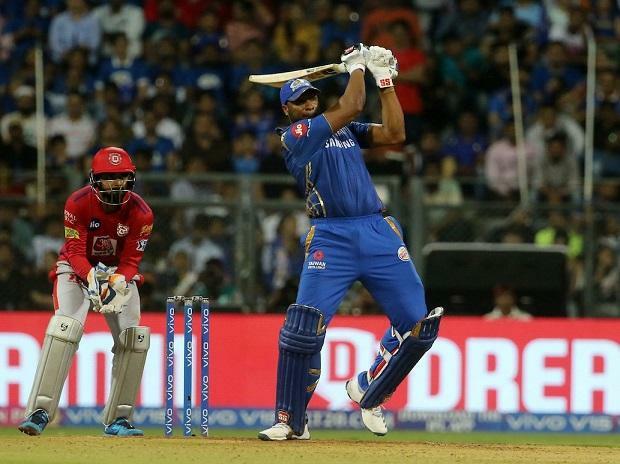 MI's stand-in skipper Pollard, who promoted himself in the batting order, struck 10 monstrous sixes and three fours in his 31-ball whirlwind 83 that helped the home team chase down the stiff KXIP target of 198 at the Wankhede Stadium here on Wednesday. "We have seen Andre Russell (of Kolkata Knight Riders) doing it a few times. (But) this was extraordinary. To do 13 an over for like 13 overs - took some doing and only someone like Pollard could do that," said Sriram after his side lost on the last ball. Sriram defended his bowling unit that, barring Mohammed Shami (3 for 21), was carted all over the park by Pollard. "At that point of time you have to be positive and hopefully he mis-hits one. I think our plans were good but just that today he was unstoppable," added Sriram. His team missed crossing the 200-run mark after being well-poised when openers Chris Gayle (63 in 36 balls) and K L Rahul (100 not out in 64 balls) put on 116 in 77 balls, but Sriram felt that the final Punjab score of 197 for four was better than par for the course. "We didn't have any target. I thought 185-190 was par for this wicket we were happy what we got," said Sriram, who has also been a bowling coach for the Australian team in the past. Gayle left in the 13th over and the scoring rate dropped before Rahul smacked a few sixes off Hardik Pandya's penultimate over to up it. Sriram defended his batsmen. "These things (slowing down) just tend to happen. Someone can't keep hitting for all the 20 overs. It's hard to get going like that," the former India left arm spinner said. He also defended the Punjab's tactics of going into an IPL game with only five bowlers. "That's how our combination works right now. We have had success as a bowling unit doing this. You got to take such a day like this one; can't do much," he said.